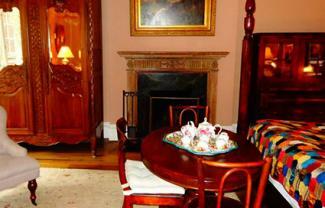 New York bed and breakfast inns vary greatly. From a stylish New York City brownstone to a Victorian hideaway in Chautaugua or a rustic lodge in the Adirondacks, New York bed and breakfasts offer visitors a chance to experience the local culture, scenery, and charm. Staying in a B&B in New York City is a wonderful alternative to impersonal, large hotels. Nestled in neighborhoods, not tourist enclaves, these diverse hostelries give visitors a chance to experience life in a real New York City neighborhood. In addition, your host can offer sightseeing, dining and nightlife suggestions that only a resident can know. The 1871 House is located on a quiet block in the center of New York City's Upper East Side. This elegant townhouse is just steps away from the museums on Fifth Avenue, like the Guggenheim and the Met, as well as the boutiques on Madison. Accommodations are smallish, but feature 12-foot ceilings, hardwood floors, full kitchens or kitchenettes, and free Internet access. This is an extended-stay Bed & Breakfast, perfect for business travelers and their families. Country Inn the City provides visitors with a chance to stay in a historic townhouse on the Upper West Side for a minimal amount of money. The inn saves money by cutting down on amenities like daily cleaning (they do have cleaning services every three or four days) and other staff that you might typically find at a B&B-style hotel. If you don't mind making your own bed and you're looking to stay relatively inexpensively in New York City, this is one of your best options. Country Inn the City is located on the trendy Upper West Side and is just a short train ride to major downtown attractions. Long Island is where New Yorkers go to escape the bustle of city life. It's full of great beaches, delightful vineyards and quaint seaside villages. Steven Spielberg calls it home and so does Billy Joel. 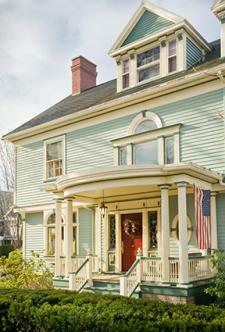 You can stay for a night or a week at one of the many charming bed and breakfasts that populate the island. 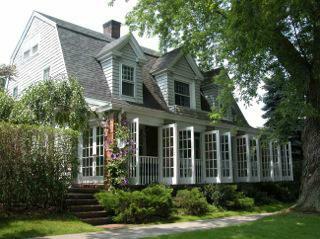 Nestled in the historic town of the East Hamptons the Mill House Inn welcomes guests year round. Noted for spectacular breakfasts and child and pet-friendly suites, the Mill House Inn is centrally located to a variety of venues including restaurants, antique shops, theaters and more. The historic inn makes an ideal resting spot for families and those especially interested in the history of Long Island. The Arbor View House and Spa is a great place to go to get away from it all and relax. Located in Greenport, Long Island, the region is known especially for wine and is near the Orient State Park. Arbor View House tries to fulfill its mission of helping guests relax. The inn is noted for leisurely, communal breakfasts as well as aromatherapy baths offered at its spa. Wine lovers and those looking to have a really relaxing vacation will especially enjoy the Arbor View House. The Adirondack Mountains in the northeastern region of New York State is full of scenic vistas, serene lakes, and rustic, yet luxurious resorts. First developed by the early 20th Century "Gilded Age" industrialists who built fantasy "lodges" here, the area is home to Lake Placid, Saranac Lake and Lake George. The region is known for its excellent fishing and relaxed lifestyle. The Lamplight Inn Bed and Breakfast is a romantic 1890-circa Victorian B&B, located near Lake Luzerne in the Saratoga Springs area. The inn features a main building with a spacious wrap-around porch as well as a caretaker's cottage and carriage house. All accommodations feature period antiques, gas fireplaces and Jacuzzi tubs. This inn is ideal for couples looking for an intimate getaway. If you're looking for a place to rest and relax after a long day of enjoying the outdoors, the Snow Goose Bed & Breakfast is a solid bet. Located at the base of the Adirondacks' high peaks, this inn is an ideal retreat for those who love the outdoors, offering visitors hiking trails (many of which start on the property), skiing, snowshoeing, ice climbing and a host of other winter sports. Muffins and coffee are served daily by the fireplace, and the Snow Goose prides itself on breakfasts that are made with organic local ingredients. New York's Finger Lakes region, located in the central part of the state, is named for the eleven slender lakes that dot the area. The region is home to relaxed lakeside communities, quaint Victorian villages and some of the state's best wineries. The William Henry Miller Inn, a historic 19th Century home located near Cornell University, has nine spacious guest bedrooms, each with a private bath, computer data port and cable TV. The home is rich with architectural details, such as chestnut woodwork, leaded glass windows and wood-burning fireplaces. Steeped in history, the Miller Inn, as it is affectionately known, is ideal for those who want a peaceful retreat. 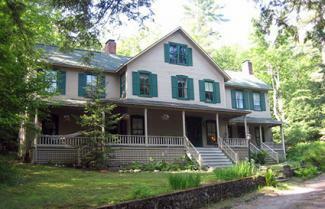 The historic VanCleef Homestead is ideal for small groups, families or anyone wanting the charm of an intimate B&B. 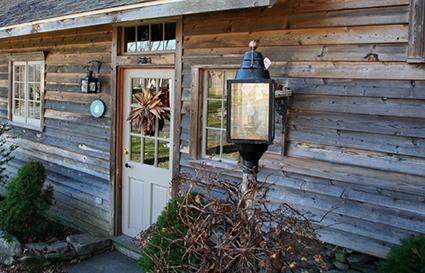 Known for its deliciously rich family-style breakfasts, the VanCleef homestead offers a bounty of things to do. Located in the Seneca Falls area, it is central to several area wine trails, outlet malls, Seneca Lake State Park and a host of restaurants and museums. Western New York includes the cultural mecca of Chautauqua, the popular honeymoon destination of Niagara, and the winter ski resort of Ellicottville. The area is rich with Lake Erie wineries and lighthouses, history and scenic beauty. The Rainbow House Bed and Breakfast, located in Niagara Falls, is a quaint Victorian B&B featuring private baths and plenty of local lore. Couples wanting to get married and honeymoon at the falls can do so easily by signing up for one of the wedding packages (rates are seasonal). After guests partake of the full breakfast, (with homemade, regionally-famous cinnamon rolls), they can take a 15-minute walk to the falls on the Canadian side. This retreat is ideal for romantic getaways. If you want charming, southern hospitality in the urban setting of Rochester, the Edward Harris House Inn may be just what you're looking for. The house is unique among bed and breakfasts in its seeming desire to cultivate a sense of community among guests. Group culinary classes, full homemade breakfasts, a culinary garden that guests are encouraged to take from, a spacious living room and a guest library all serve to make guests feel as if they are at home while they are away from home. The Inn has won several awards, including American Historic Inns' 2009 Most Romantic Inns of North America award. Whether you're a nature lover, a shopping fiend, or if you want a romantic getaway with your special someone, New York makes an idea travel destination. For other inns and current listings, check out a reputable B&B directory such as the Empire State Bed & Breakfast Association. From there you can start planning your ideal getaway to New York.